Iodine and iodide are needed for your thyroid to work properly. 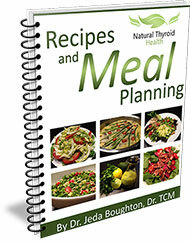 Your thyroid uses iodine to produce T3 and T4 hormones that regulate your body’s metabolism. Without enough iodine, your thyroid cannot produce these necessary hormones. What Happens if You’re Iodine Deficient? Over time, too little iodine in your diet can cause your thyroid to become enlarged, creating a swelling in your neck called a goiter. As your thyroid tries to make more hormones to compensate for low iodine, it grows or swells to try to keep up with your body’s demand. This can eventually lead to hypothyroidism. Iodine is necessary for the full spectrum of thyroid hormones (T4, T3, T2, and T1) and all other hormones in your body, such as those released by your adrenals and ovaries. Deficiency can also lead to intellectual problems including ADHD and autism, and even some forms of cancer, such as thyroid, breast, ovarian, and uterine cancer. Where Can I Get Iodine? You should be able to get all of the iodine you need from the food you eat. However, food today is lower in nutrients because of poor farming practices, depleted soil, and pesticide use. Wild caught ocean fish and seaweed can be great sources of iodine, but be careful to avoid the fish that contain increased amounts of heavy metals, such as tuna and halibut. In 1924 the food industry added iodine to table salt in an attempt to supply the missing iodine to our diets. This raised iodine consumption in the population, which has helped to some degree. 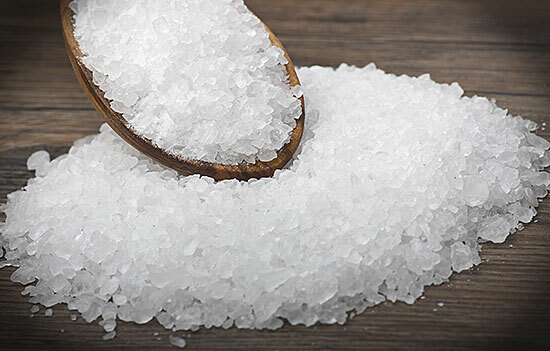 However, iodized salt is not a good source of iodine because the salt is chemically refined down to sodium and is void of the other minerals you find in unrefined salts. To maintain a healthy balance, the sodium needs to be accompanied by the other natural minerals. When your intake of pure sodium is too high, it can be hard on your heart, blood pressure and worse for your health overall. A better alternative is an unrefined sea salt or Himalayan salt. These salts are actually good for you. They don’t contain enough iodine to supply your daily requirements, but they will give you some iodine and the other trace minerals that your body needs. Supplements can give your body the iodine it needs to support thyroid function. However, much like sodium, you must balance your iodine intake with the other minerals your endocrine glands need, such as selenium, zinc and copper. If your minerals are not balanced, this can throw your thyroid hormones off course. When choosing an iodine supplement be sure that it is an absorbable form that contains both iodine and iodide, such as Lugol’s solution. Start with a small daily dose for at least a week or two before raising the dosage. Iodine can bump the other halides (fluoride, bromide and chloride) off of your thyroid receptors and cause a dull headache while it is detoxing. If this happens, drink more water and slow down your iodine intake. This detox reaction will go away as soon as your thyroid receptors have taken up the iodine and the toxic halides have been flushed from your system. For some people it can take one to three months to work up to a normal daily dose of iodine. It’s important to note that if you have just started iodine supplementation and you have an upcoming TSH test, your TSH results can rise significantly. This is a normal reaction to the recalibration of your thyroid receptors and will normalize over time (3 to 6 months). Everyone has unique needs for supplement planning, it’s important to find an experienced practitioner and follow their recommendations.